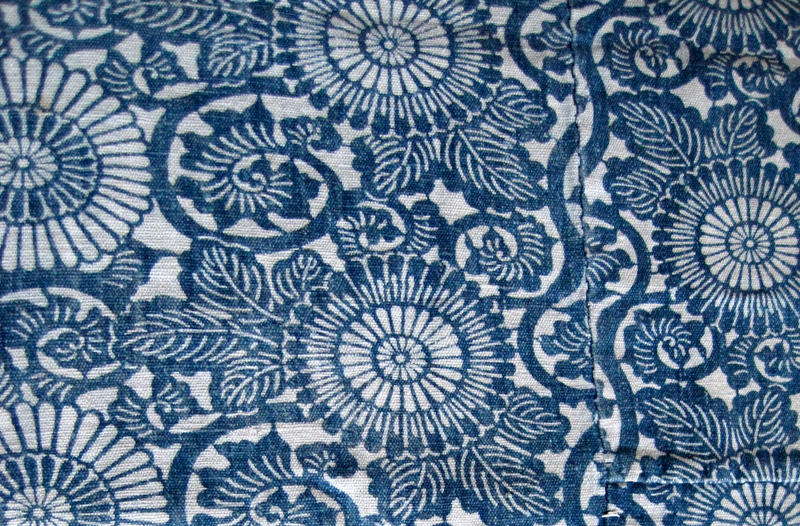 This early Meiji period katazome is made of indigo dyed cotton that has been hand spun and hand woven. 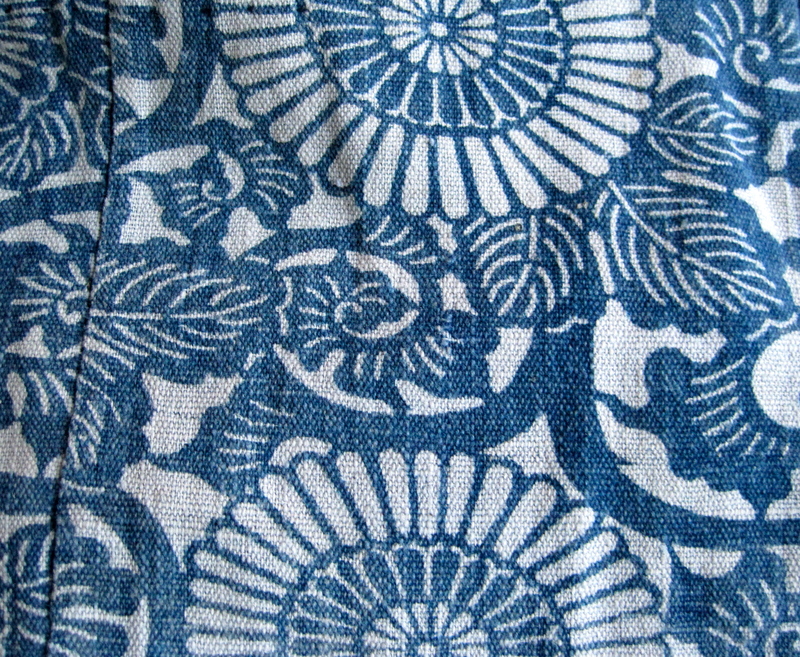 The fabric is thick and has been worn soft by years of use. 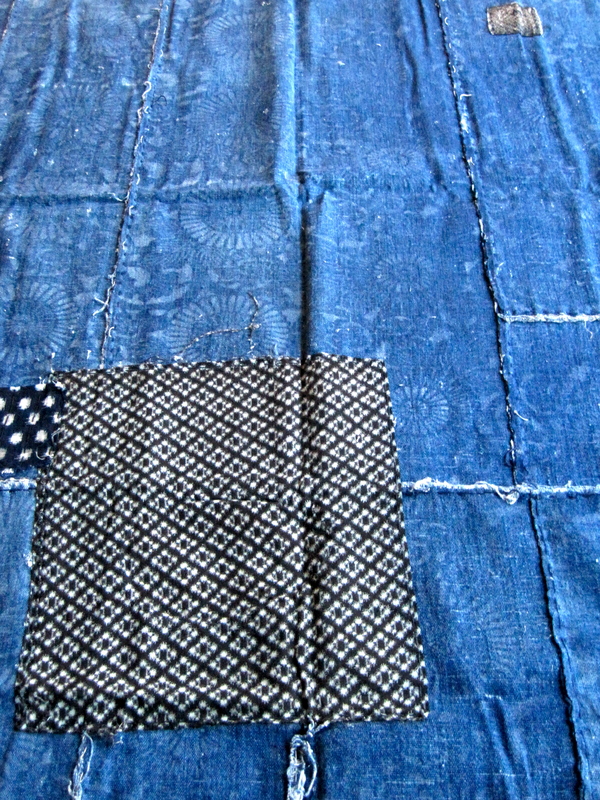 This piece was probably the top of a futonji and has been pieced together from 15 small pieces of the same fabric. 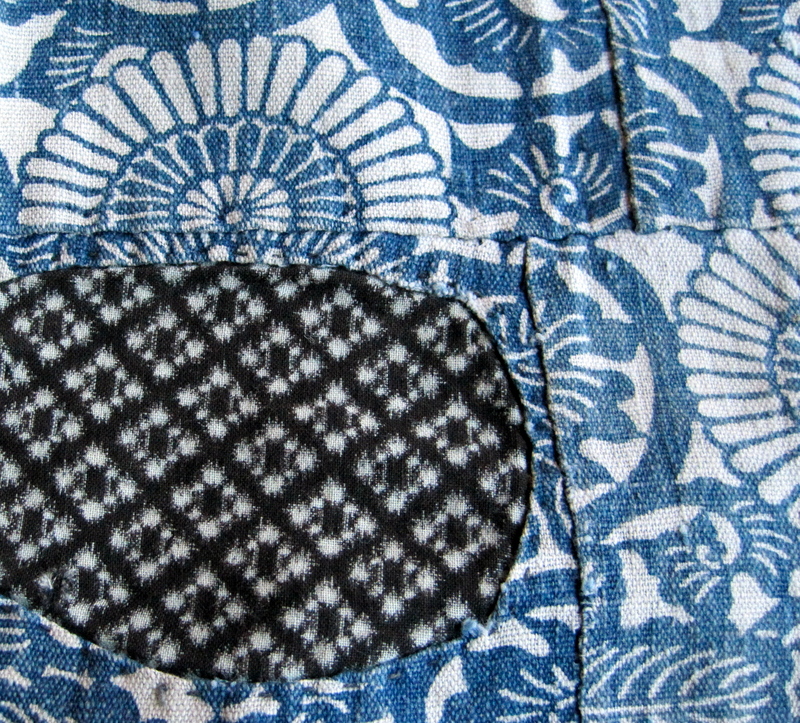 It has also been mended with several large patches. 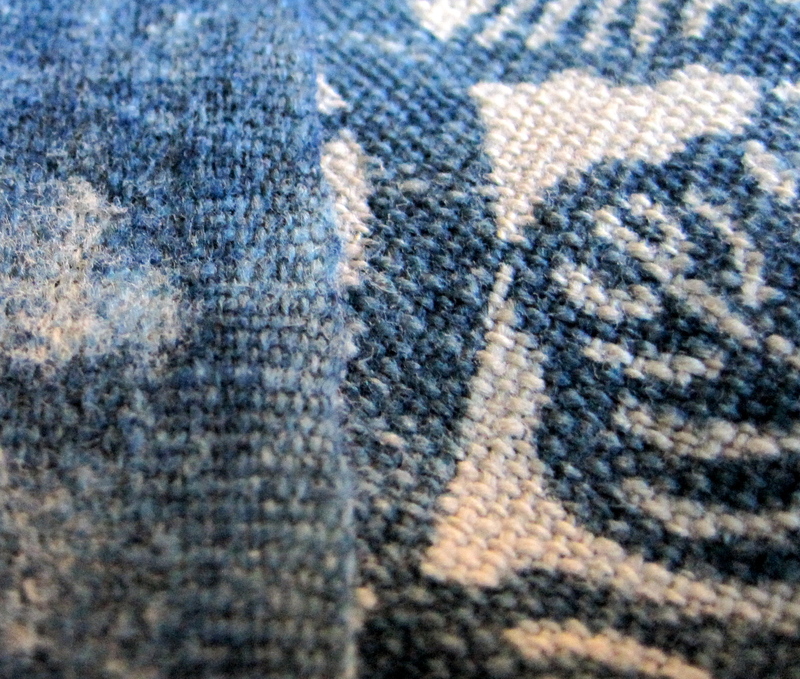 This last photo shows the irregular hand spun threads that produce a fabric with such amazing weight and texture.